A GroupWeb is an easy to use web-sited tool designed and developed specifically for Businesses and Organizations that want to rapidly get the RIGHT information to their customers, members, staff, etc. The term GroupWeb was coined by Group Seven Technology because it conveys the message that the Web site is designed for Groups of people to easily and securly use, create and modify contents of their web site. GroupWebs use advanced "portal like" technology - a sort of portal on steroids. Group Seven Technology offers the advanced GroupWeb technology for organizations that wish to share and change their Web Site information for their customers without the need for learning HTML or the complications of uploading web sites. All changes to your Web Site Portals are done instantly and easily through your own Web Browser. Securly share documents, charts, contacts, manage your own calendar and share information with your staff and customers alike by providing individual accounts to access only the information you want them to see. GroupWebs allow user access to be configured easily. Not every user will necessarily need the same rights. One user may need rights to only a small number of pages or items, while another user may need access to most of them. GroupWebs allow an administrator to define what each user needs access to. 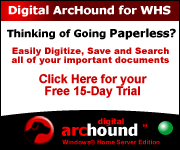 "Bringing Excellence back to Business"
Make your Windows Home Server worth your investment - add Digital ArcHound and go totally paperless. GroupWebs are easy to use web site applications that give the power to edit websites into the hands of those that need to make the changes as quickly as possible. 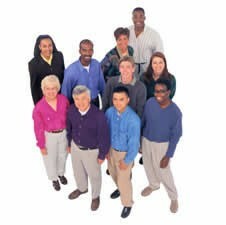 Insurance Agents, Medical Companies, Physician Offices, Dental Offices, Authors, Speakers, Writers, Engineers, Churches, Organizations, Real Estate Agents, Mortgage Companies and others use the GroupWeb technology.